This online Fall Protection course is designed to provide the knowledge to minimize fall hazards and protect against serious injury. This course focuses on the importance of fall protection, fall protection systems and components, calculations and fall protection planning and procedures. Upon successful completion of this online course, a certificate of completion will be available to download and print. 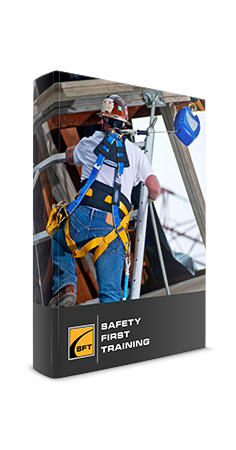 Testing conducted in this online Fall Protection Training course is designed to reinforce the information presented. A mark of 80% must be achieved to receive a certificate of completion. Participants are able to repeat the course two additional times if the pass mark of 80% is not achieved. Upon successful completion of this online Fall Protection Training course, a certificate of completion will be available to download and print. Whenever possible, use rails. This is the easiest way to keep workers safe and meet compliance as there is nothing for the worker to do but to stay within the rails. Regardless of which type you use, you will find rails are the easiest fall protection system to use. You need to choose proper equipment for the job site. All full body harnesses that meet CSA/ANSI standards will perform the same but do your research to get the proper equipment you need for the specific job. Harnesses are not one size fits all. Make sure workers can properly adjust their harnesses so that they fit correctly. Lanyards need to be properly selected as well. Each situation is different, so you need to evaluate your working conditions and the task to be performed in order to give your employees something that will actually protect them. If workers are not inspecting their PPE, it could fail at any time, they should be inspecting their equipment before every shift. A competent person should also periodically inspect harnesses and lanyards. The inspection should be thorough, but does not need to take a lot of time and could save a life. Even if you wear the proper PPE, if it allows you to hit the lower level before it engages, it will be deadly. Your actual fall distance needs to not only include the length of your lanyard when deployed, but also your body length below the D-ring and any sag in your harness and anchor system. On a construction site there will be many more things that will NOT be an acceptable anchor point than WILL be an acceptable anchor point. The anchor point must support not just the weight of the person attached, but 5000 lbs. per person attached. Many fixtures are not going to withstand those forces. You can consider structural steel using a proper beam clamp or a manufactured roofing cart or other manufactured anchor if installed correctly. You should always be safe and get documentation and/or an engineer’s approval before deciding to use something as an anchor point. In many cases a scaffold system is going to be your best solution to work at heights and they must be equipped with rails. Sometimes you may need to work on an aerial lift and wear a harness and a lanyard and properly tie off. Other times you may need to use a ladder and other safety precautions are not involved. Consider your worksite situation carefully then determine the proper piece of equipment to use. Ladders are the source of many industrial and workplace accidents usually because we think they are simple to use. Ladders are dangerous. Always make sure that using ladder is best way to accomplish the job you are doing. All workers must be properly trained on the safe use of ladders. If you work at height in Ontario, it is mandatory to attain certification in an approved Working at Heights course. This course cannot be taken online and must be taught by a certified training company. Always receive professional training on the exact piece of lift equipment you will be operating. 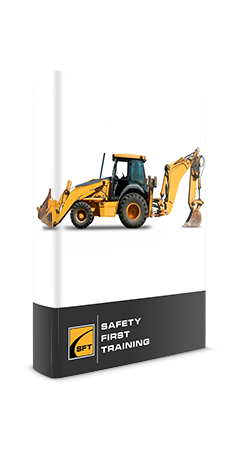 Operator’s manual and safety signs must be fully understood on to have a complete understanding of all safety devices and controls before operating the machine. If your employees work at heights, they must be properly trained. Falls are the leading cause of death in construction every year. 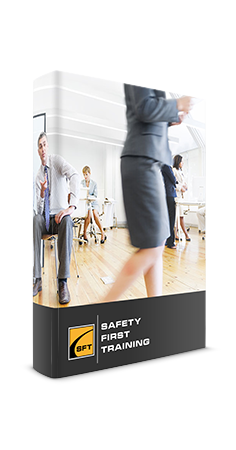 Give your employees the knowledge they need to keep themselves safe. When it comes to fall protection, you can’t have too much information.